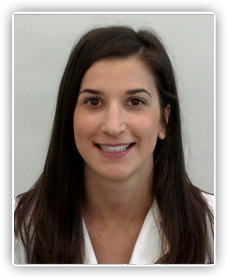 Dr. Danielle Gainor at Mid-Michigan, Ear, Nose, and Throat, P.C. Dr. Danielle Gainor is originally from Greenville, PA and recently joined Mid-Michigan ENT in 2018. She completed her residency in Otolaryngology-Head and Neck Surgery at the Cleveland Clinic Foundation and is Board Certified by the American Board of Otolaryngology. After residency, she completed additional fellowship training in Head and Neck Oncologic Surgery and Microvascular Reconstruction at the University of Michigan. Prior to joining Mid-Michigan ENT, she was faculty at Emory University in Atlanta where she provided complex head and neck cancer care for several years. She has relocated to Michigan to be closer to family and to provide head and neck cancer care to Mid-Michigan and the surrounding areas. She is the author of multiple journal articles and book chapters. She has presented on the surgical management of head and neck cancer at both regional and national meetings. She has also earned several scholarships and teaching awards. Dr. Gainor practices general Otolaryngology with a special interest in managing benign and malignant tumors of the head and neck. She holds privileges at Sparrow Hospital, McLaren Greater Lansing Medical Center, and the Michigan Surgical Center. Gainor D, Chowdhury FR, Sataloff RT. Reinke Edema: Signs, Symptoms, and Findings on Strobovideolaryngoscopy. Ear Nose Throat J. 2011. Apr;90(4):142-58. Gainor DL, Kinzinger M, Carl J, Anne S. Bridging bronchus: Importance of recognition on airway endoscopy. Int J Pediatr Otothrinolaryngol. 2015 Jul;79(7):1145-7. Gainor DL, Rolfes B, Milstein CF. Functional Dysphonia. Sataloff’s Textbook of Otolaryngology. Ed: Robert T Sataloff. Jaypee Brothers Medical Publishers. In print. Gainor DL, Scharpf J. Awake Tracheostomy in the Stridorous Patient. Clinical Airway Management: An Illustrated Case-Based Approach. Ed: John Doyle and Basem Abdelmalak. Cambridge University Press. In print. Bryson PC, Gainor DL. Phonomicrosurgery Set-up and Instrumentation. Sataloff’s Textbook of Otolaryngology. Ed: Robert T Sataloff. Jaypee Brothers Medical Publishers. In print. Gainor D, Waldrab P, McCarty G. Flow-Through Amperometric Enzymatic Biosensors Containing Glucose Oxidase. Oral and Poster Presentation. National Nanotechnology Infrastructure Network Research Experience for Undergraduates Program, Pennsylvania State University, PA. August 2004. Gainor DL, Benninger M, Bryson PC. Type I Laryngoplasty Following Calcium Hydroxylapatite (Radiesse) Injection Laryngoplasty: Review of Surgical Outcomes and CT Imaging. Oral Presentation. Fall Voice Conference, Atlanta GA. October 2013. Gainor DL, Kinzinger M, Carl J, Anne S. Bridging bronchus with discontinuous pulmonary arteries from a single PDA: A previously undescribed association. Poster Presentation. Combined Otolaryngology Spring Meeting. Las Vegas, NV. May 2014. Gainor D, Wilson MB, Sfeir C, Kumta P. Analysis of Phosphoryn Interaction with Calcium Phosphate Particles in Forming a Crystallized Mineral Matrix. Poster Presentation. Pittsburgh Tissue Engineering Initiative, Pittsburgh, PA. August 2005. Gainor DL. Perioperative Infection and Antibiotic Use in Clean-Contaminated Head and Neck Oncologic Surgery. Cleveland Clinic Head & Neck Institute Grand Rounds, Cleveland, OH. May 2012. Gainor DL. Alcohol Withdrawal in Head and Neck Surgery Patients. Cleveland Clinic Head & Neck Institute Grand Rounds, Cleveland, OH. January 2014. Gainor DL, Rajasekaran K. Surgery versus Radiation Therapy for Early Laryngeal Cancer. Cleveland Clinic Head & Neck Institute Grand Rounds, Cleveland, OH. March 2015. Gainor DL, Chute D, Lorenz RR. Sodium Iodide Symporter Expression in Adenoid Cystic Carcinoma of the Head and Neck. NEO Resident/Fellow Research Competition, Cleveland, OH. December 2014.